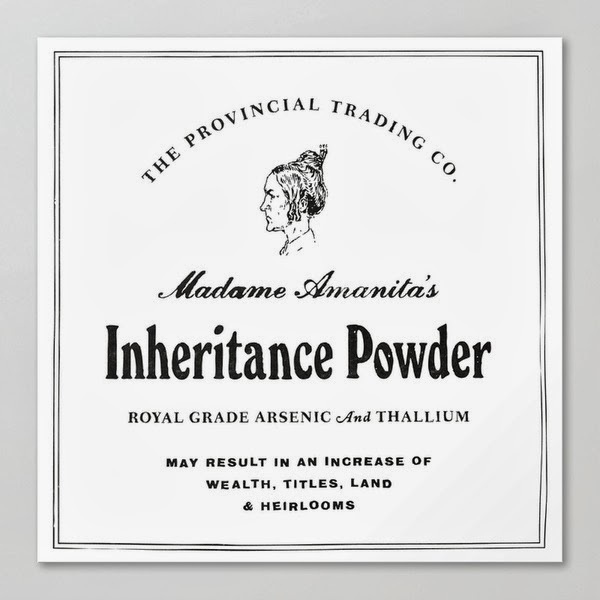 The Provincial Trading Co. presents Madame Amanita's "Inheritance Powder". 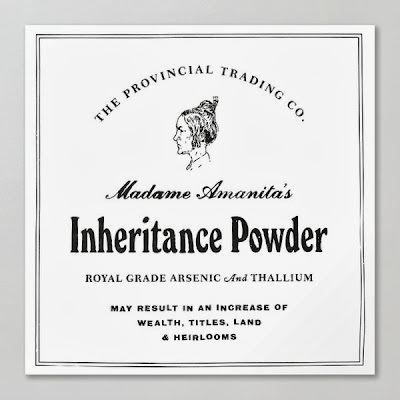 Made from the finest royal grade arsenic and thallium, its use can result in an increase of wealth, titles, land and heirlooms. 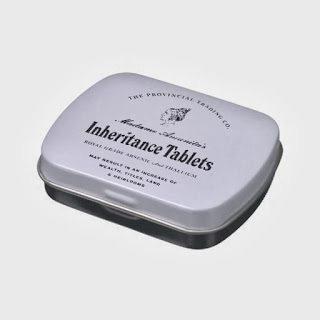 Now available in a convenient tin container to maximize ease of use and quick returns!